Last month, my family and I spent a wonderful day down in Santa Claus, Indiana at Holiday World Theme Park and Splashin’ Safari Water Park. If you missed it, be sure you read all about our trip to Holiday World and our experience at Splashin’ Safari. But I’m not finished telling you about all the great, fun things you can do in Santa Claus, Indiana. For the duration of our weekend we were invited by Lake Rudolph Campground & RV Resort to stay in one of their Christmas Cabins. 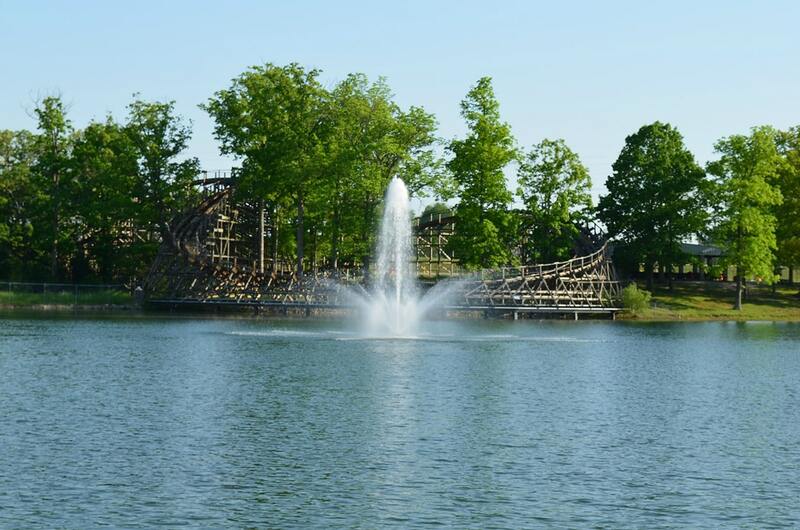 Located at 78 North Holiday Blvd in Santa Claus, Indiana, it was right next to Holiday World & Splashin’ Safari. It contains a whopping 519 sites for you and your loved ones to add onto the fun for your adventure filled weekend. This massive number of sites gives you lots of different ways to settle in with your family. 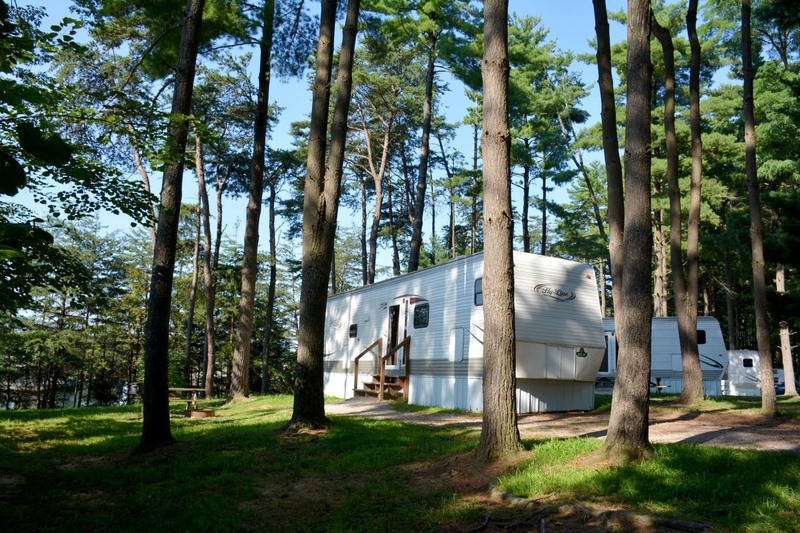 There are traditional campground tent sites, cabin rentals and full-hookup RV sites. This is all surrounded by beautiful, wooded land. Lake Rudolph has been named a “Best Family Campground” by the TravelChannel.com. I can see why. As soon as we rolled into the grounds, we immediately saw families with children of all ages everywhere. You can rent a golf cart (which I would recommend doing. They now have brand new, six person carts that can fit the whole family) and cruise around. We saw a countless number of these carts going everywhere. There is something about a golf cart that just makes everyone a bit more sociable. Everyone was waving to each other and strangers weren’t strangers anymore. I was really struck by a sense of community almost immediately. As I mentioned above, we saw people that were doing real camping in their tent and we saw people with top of the line RV’s. And you actually don’t even need to own an RV. You can rent one of theirs! 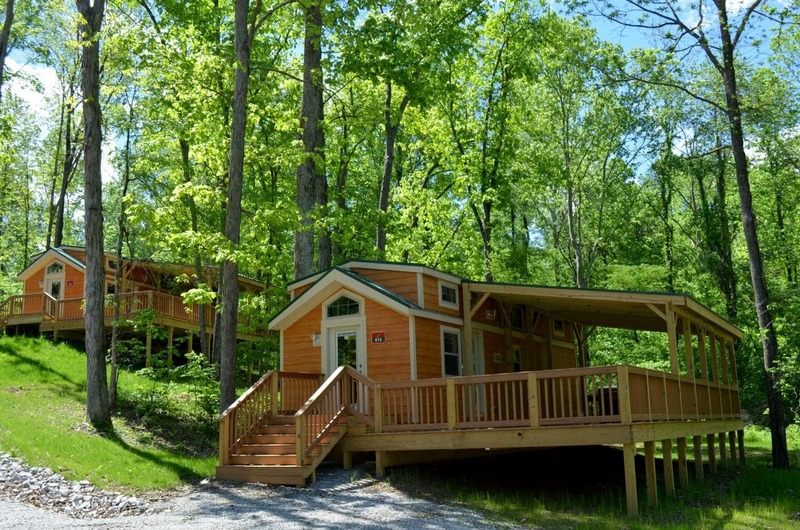 So and sort of camping you would feel comfortable with, Lake Rudolph has you covered. My family was able to get into one of the new Christmas Cottages and we were very impressed. Approaching the cottage from the outside, it looked pretty small. But we weren’t too worried. There was only 4 of us and we didn’t spend on spending too much time in it anyways. But once inside, it really was amazing what they could do with such little space. The front room where you walked in was comfortably decorated with a couch, some tables and a nice sized TV with surround sound. There was a ledge along wall that was perfect for us to put backpacks, charge phones, etc. This lead back to a very small kitchen that really did have everything we needed. There was a refrigerator, microwave, stove, dishwasher, etc. Lake Rudolph does have options to eat pizza at their Blitzen Kitchen (they will even deliver to your site). But if you want to save some money, you can certainly cook for your family here in the cabin. Only suggestion I would make here it to bring your own cookware. They did provide clean, new cookware but the pots and pans were extremely small. Most of the people we saw were grilling out anyways. They provide both a gas grill AND a charcoal grill. There was also a fire pit at each site. So, there are plenty of ways to cook your dinner provided here. We did not have a campfire. It was EXTREMELY hot and it was the time of year where it didn’t get dark until about 9pm. With our little ones, that was about bedtime for them. 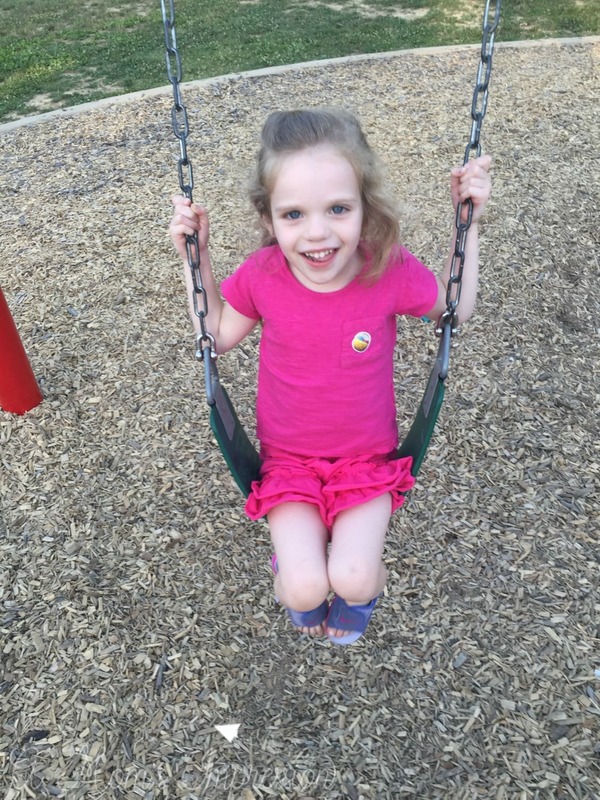 Honestly, after a full, fun-filled day at the park, that was about bedtime for us too! Off of the kitchen was the bathroom. Again, very small but perfectly adequate with a sink, toilet and shower. We forgot to bring soap/shampoo, etc. Lake Rudolph did provide soap but it was a small bar of soap about the size of a matchbox. Pretty hard to take a shower with. So don’t forget to bring your favorite shower gel or whatever you like to use! Going further back into the cabin you get to the master bedroom. Very comfortable bed with plenty of closet, drawer options to put all your clothes if you want to bother taking them out of the suitcase. Between the bathroom and the entrance to the bedroom are the stairs leading up to the loft. This low ceilinged space could sleep 4 more on the loft side. But there was also another semi private (there was a curtain for a door) room with another bed that could sleep two more. So, by my count, you could sleep 8 people in this cabin. As a family of 4, this is perfect for us to bring another couple with two children and really be able to save some money. It would be tight quarters but, like I said, we won’t be spending much time in there anyways. The reason that you don’t spend too much time inside is that there is just so many fun things to do around the campground. Attached to our cabin was a HUGE porch. There was a picnic table along with several chairs. So we could just sit out there and watch the world go by. I do recommend bringing bug spray. It is the summer and this is a heavily wooded area. Also, just a short walk away (or golf cart drive) was Santa’s SplashDown Waterpark. 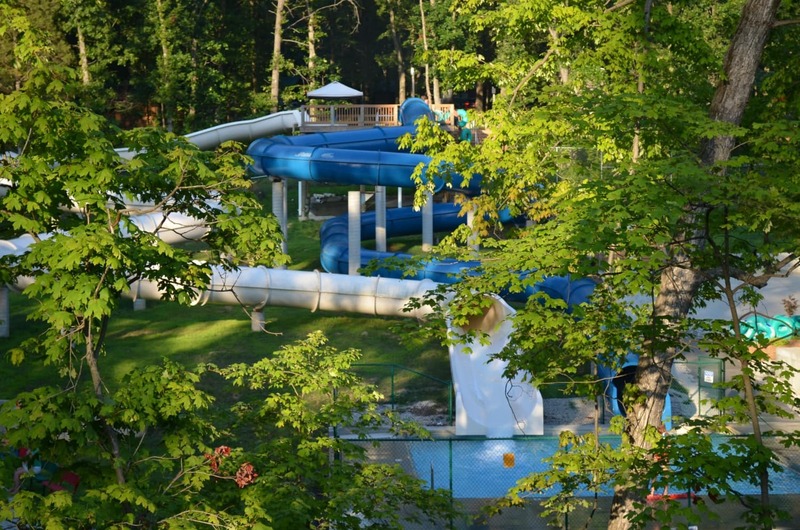 It is tough to believe that a campground that is there to serve one of the best water parks in the country actually has it’s own water park too! This features two fiberglass waterslides and one inflatable waterslide called the Trippo. The Trippo itself actually features three different slides and it is the tallest inflatable waterslide in the world! There is a small additional fee to get access to Santa’s SplashDown. 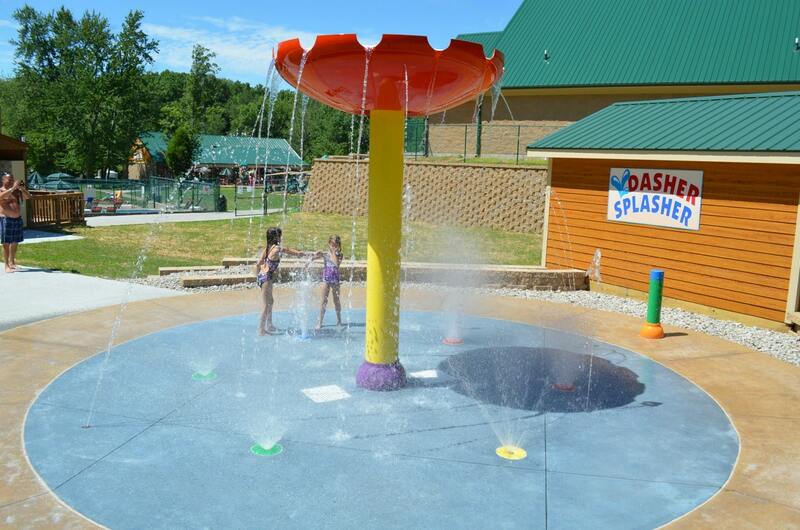 It is completely free to go to the Dasher Splasher Splash Pad and the Blitzen Bay Family and Kiddie Pool. 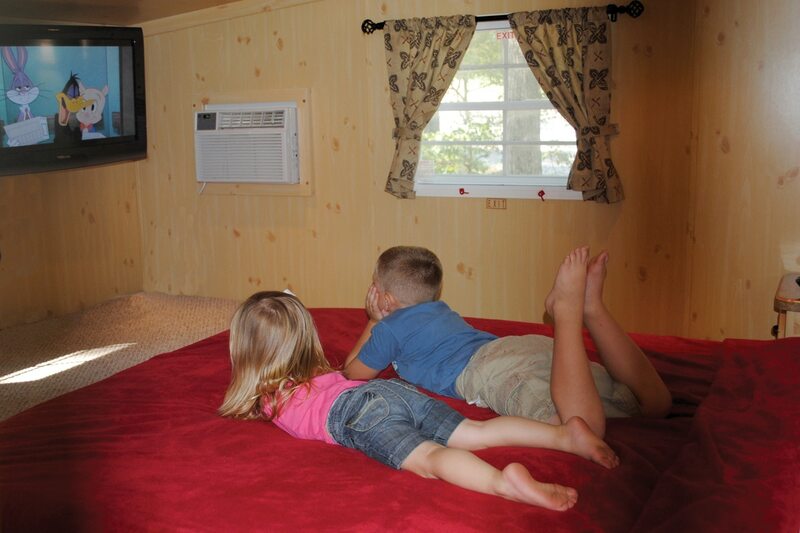 This is an additional 3700 square feet of summer fun for the whole family. Right next to the pool you will find Blitzen Kitchen, where you can get ice cream, pizza and some other family friendly treats. We had smaller children and weren’t able to take in all that Lake Rudolph has to offer. We saw basketball courts that the older kids were playing on. There were playgrounds. Paddleboat and Kayak rental. There was even a gem mining sluice that the kids really seemed to enjoy. 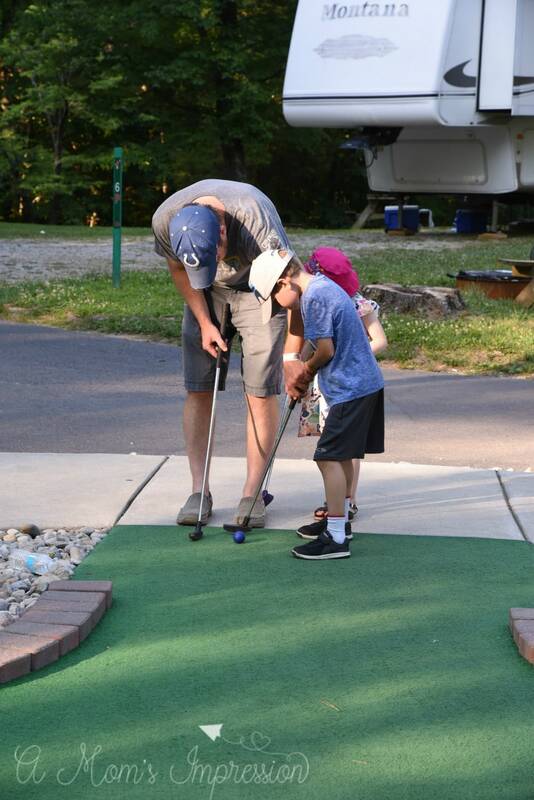 My son’s favorite part of the campground was, by far, the mini golf. This was located right next to the camp store (where you can get about anything you need). The mini golf was free and we played about 10(!) rounds of it. In addition to all of this, there was an activity going on just about all the time. 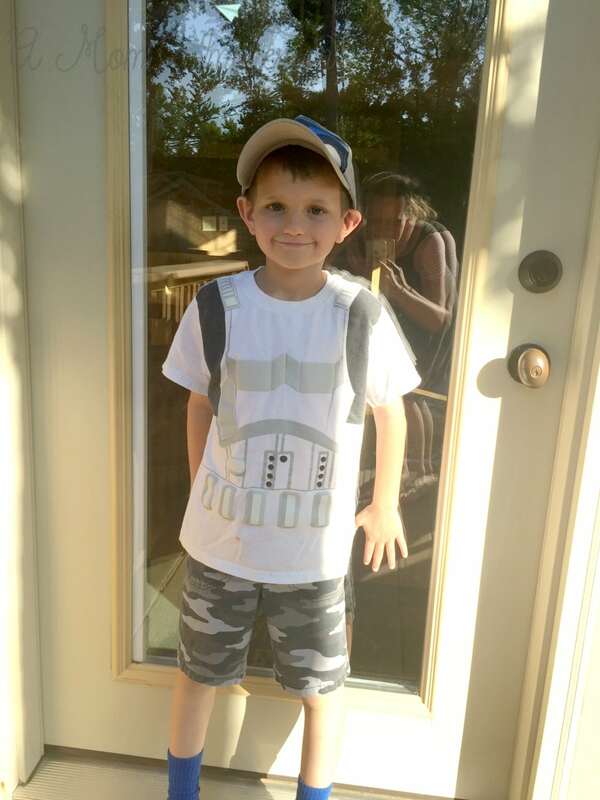 From Tie Dye t-shirt making, to stuffed animal creation to family movie nights outside. There will always be something going on for everyone. Lake Rudolph also makes it extremely easy and convenient to get to Holiday World & Splashin’ Safari next door. There are shuttles running back and forth all day with lots of stops located all over the grounds. Our shuttle driver was so nice. We were the only ones left on the shuttle and she just bypassed the usual stop and drove us straight to the door of our cabin. This was much appreciated after a long day at the park with two VERY tired kiddos. I know that it feels like summer is slipping away fast, but there is still plenty of good weather for you to enjoy some summer fun at Lake Rudolph. But you don’t even need it to be summer to head to Santa Claus, Indiana and enjoy all that they have to offer. For 16 years now, they have been offering their Halloween Weekends. These seven weekends, spanning through September and October offer a ton of family friendly Halloween activities. This includes a carnival, pumpkin decorating, bingo parties, a Halloween dance, costume contests, haunted hayrides, bonfire ghost stories on Friday evenings and a ghostly golf car glow parade. Every Saturday, you and your family can go trick or treating. These Halloween weekends start on September 15 this year, and go until October 28. 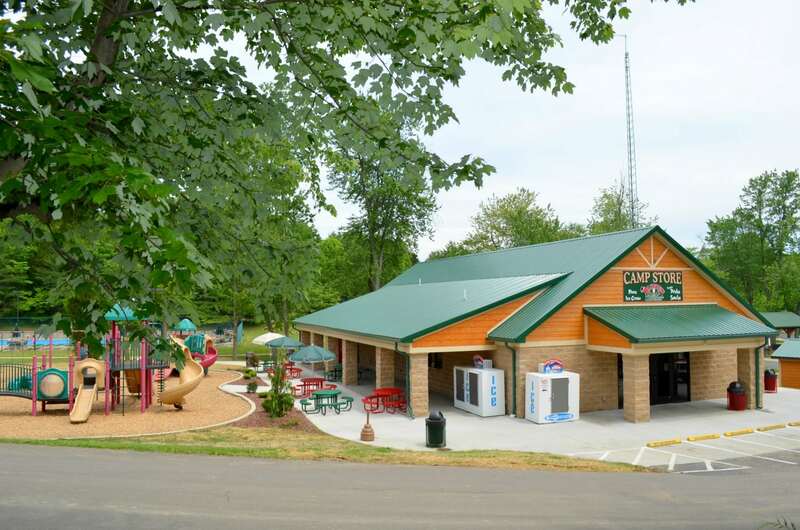 I really can’t say enough good things about Lake Rudolph Campground & RV resort. Everyone was so nice and it was VERY clean. I really felt safe with my family and everyone just seemed to be one big family. Don’t hesitate to book your site! You can book up to one year in advance by calling toll-free at 1-877-3657 or 1-812-937-4458. For more information, you can also visit www.LakeRudolph.com. A huge thank you to the folks at Lake Rudolph for hosting my family for two nights. All opinions are ours.